Living a Fit and Full Life: Teach Kids to Eat Smart with Bitsy's Brainfood! 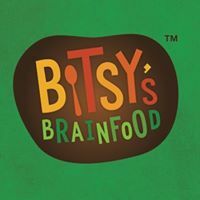 At Bitsy’s, they’re on a mission to make great food that starts with a simple belief – healthy bodies and healthy minds are connected, and learning to eat smart should be fun. Every day, they work to make mega-delicious, ultra-nutritious foods for your kids and our own, to nurture their bodies, minds and imaginations and to inspire them to learn and grow. Bitsy's Organic Cheddar Chia Veggie Smart Crackers are made with real organic carrots, sweet potatoes and yummy organic cheddar. 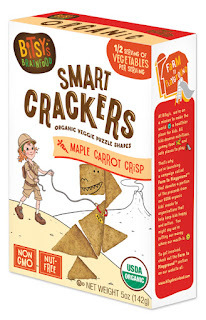 Bitsy’s Organic Maple Carrot Crisp Smart Crackers are made with real organic carrots and a perfect hint of maple. Bitsy’s Organic Sweet Potato Cinna-Graham Smart Crackers are made with real organic sweet potatoes, carrots, and a perfect pinch of cinnamon. 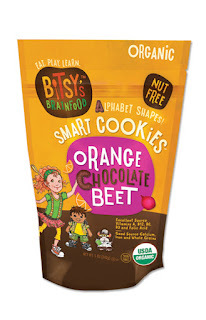 Bitsy’s Organic Orange Chocolate Beet Alphabet Smart Cookies are made with real organic beets, whole grains and packed with nutrition. 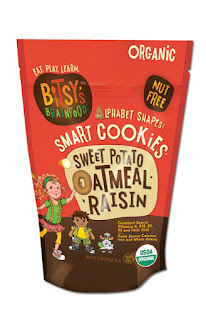 Bitsy’s Organic Sweet Potato Oatmeal Raisin Alphabet Smart Cookies are made with real organic sweet potatoes, whole grains and packed with nutrition. 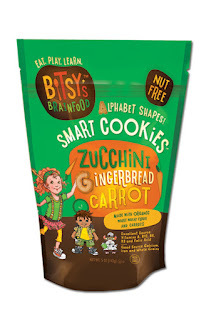 Bitsy’s Zucchini Gingerbread Carrot Alphabet Smart Cookies are made with real delicious veggies-- zucchini and carrots, whole grains and packed with nutrition. Introducing a New Kind of Breakfast Cereal! Our galatic gluten-free moon and star-shaped cereal fills each bowl with a tasty outer-space adventure! Breakfast just got a whole lot smarter. Our colorful gluten-free number-shaped cereal fills each bowl with a tasty math adventure! Breakfast just got a whole lot smarter. Bitsy's Brainfood is the healthier way to snack! 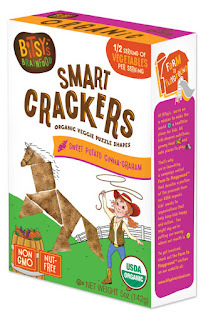 Bitsy's Brainfood Smart Crackers are delicious and I love that they're also good for you. 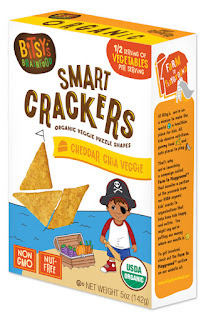 My kids absolutely loved Bitsy's Brainfood Smart Crackers and have already asked that we pick more up the next time we go shopping. Bitsy's Brainfood Smart Cookies are also delicious and are the perfect way to give your kids cookies without the guilt since they're filled with veggies and simple ingredients. These are also on our shopping list and have quickly become my afternoon snack when I'm craving something sweet. 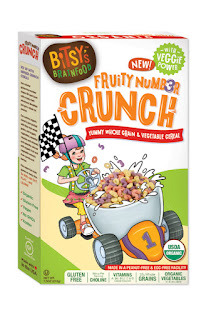 Bitsy's Brainfood Breakfast Cereal is a great way to fuel kids for the day because it's packed with good for you ingredients and kids actually love it. 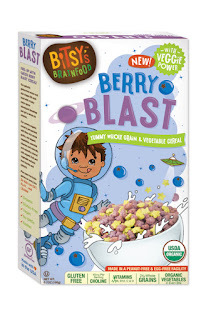 All 4 of my kids love Bitsy's Brainfood Breakfast Cereal and we simply can't get enough. Bitsy's Brainfood is the perfect way to teach kids to eat smart! Click HERE to find a store near you that sells Bitsy's Brainfood! Click HERE to learn more about Bitsy's Brainfood! Follow Bitsy's Brainfood on social media!